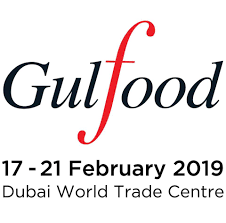 The Gulfood trade show will be held from February 17 – 21, 2019 in Dubai, United Arab Emirates. It is the largest food show in the Middle East and North Africa region. Gulfood is the largest and most influential food trade show in the Middle East and North Africa region. The trade show attracts 5,000 exhibitors and more than 90,000 visitors from 120 trading countries. The website www.gulfood.com gives you more details on the trade fair.